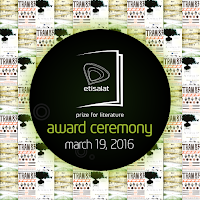 The awarding of the annual Etisalat Prize for Literature today (March 19) is an opportunity to take a look at several ongoing continent-wide literary prizes* for African authors and writing, with attention to the languages they acknowledge. As a general rule, such awards only consider writing in (or translations into) Europhone languages, including 7 of the 8 profiled below. One explicitly accepts writing in an African language - Swahili. The Etisalat Prize, now in its third year, was created in 2013 by Etisalat Nigeria, a branch of the UAE multinational, Etisalat. It is open only for books published in English (or in English translation from another language). 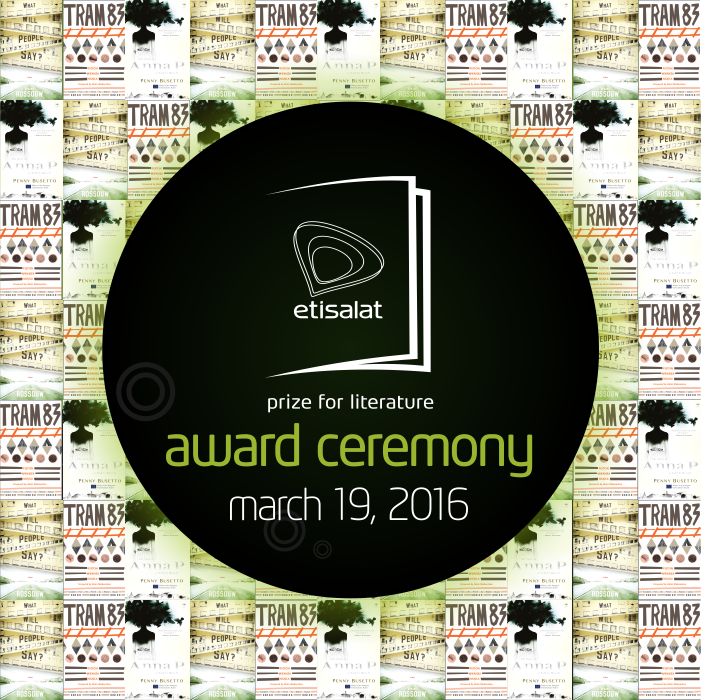 The winner of the 2015 Etisalat Prize for African Literature announced today is Fiston Mwanza Mujila, for his novel Tram 83, which was originally published in French and translated by Roland Glasser (evidently the prize originally did not consider translations). Babishai Niwe, formerly Beverley Nambozo Poetry Award, is currently offering two awards to African poets, one for haikus in English only, and another for poetry in English or in "local languages ... if English translations are sent alongside them." The awards were begun in 2009 with only Ugandan women eligible. Beginning with the 2014 awards, men and non-Ugandan Africans could also submit entries. The Brunel University African Poetry Prize recognizes African poets, and is awarded for poetry in English or translated into English. It was established in 2013 by British-Nigerian writer Bernardine Evaristo and is sponsored by Brunel University London with other British and US partners. The Caine Prize was established in 2000 in the UK, and is "awarded to an African writer of a short story published in English." Stories translated into English from other languages and published are eligible. The prize is named after Sir Michael Harris Caine. The Golden Baobab Prize is awarded to African writers of literature in English for children and young adults (there are three age categories). It was established in 2008 by the Ghanaian NGO, Golden Baobab Foundation for Education. The Grand prix littéraire d'Afrique noire was first awarded in 1960 and recognizes African writing in French. It is managed by the Association des écrivains de langue française. The prize actually began in 1926 under a different name. The prize was founded by Mukoma Wa Ngugi and Lizzy Attree. It is "primarily supported" by Mabati Rolling Mills of Kenya and Cornell University. The Wole Soyinka Prize for Literature in Africa is awarded every other year since 2006 for literature in English or French. It is named after Wole Soyinka, a laureate of the Nobel Prize in Literature (1986). The prize focuses on a different genre of literature for each award, such that drama was considered in 2014, poetry in 2016, and prose in 2018. * Prizes no longer offered, like the Noma Award for Publishing in Africa, which at one time was prominent, and prizes whose scope is not limited to Africa or African authors, are not considered in this list. I had trouble determining the current status of the Penguin Prize for African Writing, which was started in 2010. Unfortunately, Indiana University's African Literary Awards Database is not currently available for reference. So basically no chance of winning a literary prize unless you write in English or French? Any idea how much literary output there is in different African languages? Doesn't Ethiopia have a decent-sized publishing industry for Amharic and other Ethiopian languages? Nollywood cranks out thousands of movies every year... nothing equivalent for books? Matt, as far as I know, that is exactly the case - prizes go to publications in English, mainly, or French. The Mabati-Cornell prize, which is only for Swahili, discusses this briefly. I hope in April to post something about a broader perspective (not just the literary awards, but aid, market incentives, and prestige at all levels tend to favor the Europhone and one way or another marginalize African languages). As far as production in African languages, that is a good question. There is definitely writing and publishing in various African languages, but on the country levels mainly, and below the proverbial radar of international attention. Markets generally small, quality of production often compares unfavorably with international publications (unlike say in China), and little if any tie-in with education. Note that in the beginning I state that the post covers "ongoing continent-wide literary prizes." First of all, I can't claim the list is definitive, but am checking with experts and will amend as appropriate (no items to add yet). Second, going back to your questions, it may be that there are more local prizes that do recognize writing in African languages. It would be highly interesting to compile a list of those for publication, to expand awareness and discussion.